The Yellow Crown Amazon's habitat runs through Peru, Brazil and in South and Central America. 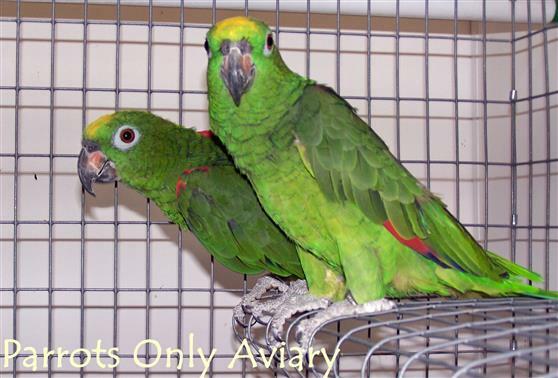 Yellow Crowned Amazons are mostly green. They have a yellow forehead and a red speculum, they also have red at the bend of their wing. Occasionally the yellow on their forehead will extend to included their lores. Yellow Crown Amazons like to climb and play. Provide lots of toys. Approximately 50+ years, depending on nutrition and care.